“Projects” application allows planning and joint working on projects realisation. 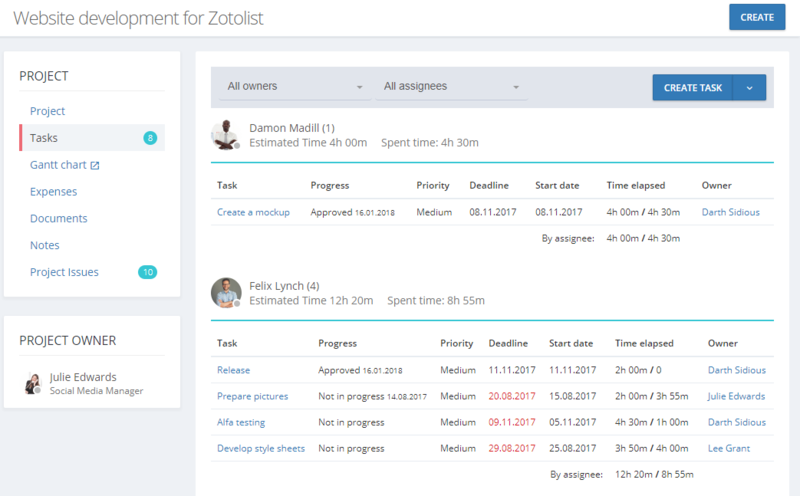 Here you can plan work stages and tasks, make timetable on Gant diagram, track time elapsed on project, fix project budget, issue invoices and consider costs. Project team will have shared access to documents, notes and will have opportunities to exchange comment. Project Board is instrument for visual progress tracking by projects. 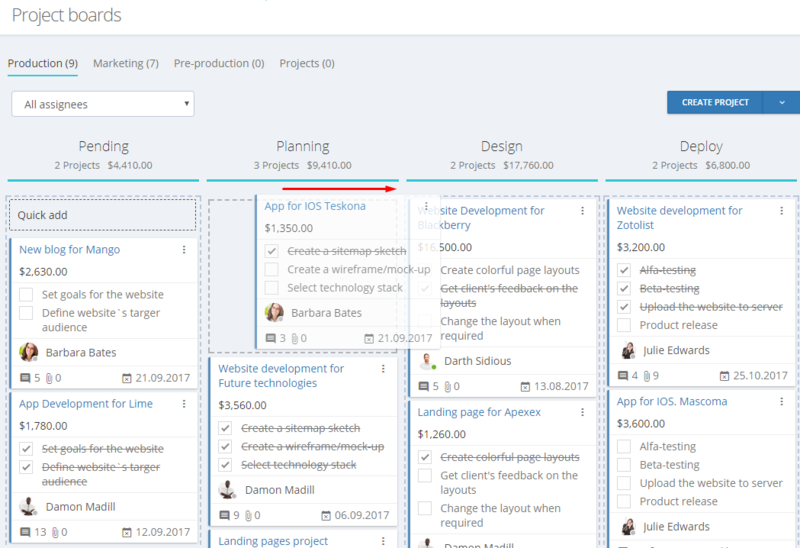 Use project board to manage projects which are implemented by the same plan, e.g. landing creation, SEO optimisation, advertising projects. 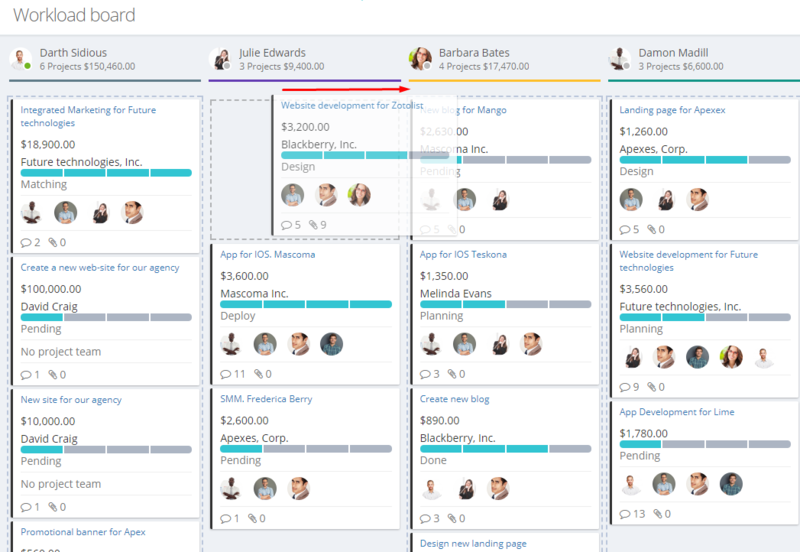 On this board you will see which stage is every project on and what jobs on each stages are performed. What is the difference between individual project and template project? keyboard_arrow_left How to monitor work quality using Overview report?